It is much too soon after last Friday’s attack to make any form of definitive analysis of the radicalisation process which brought the Australian attacker Brenton Tarrant to carry it out. Yet, it seems most probable based on available evidence that it fits the pattern of what has come to be known as lone actor radicalisation. The adjective ‘lone’ is somewhat misleading, as these attackers’ loneness is always relative. They inevitably possess a series of weaker and stronger, on- and offline ties to wider communities which broadly share their political beliefs. While attacks are conducted individually, attackers on occasion obtain assistance in attack preparation from friends and political comrades. More importantly, their views are formed, consolidated and certified by their relations within these radical milieus. Interestingly, the Christchurch attacker name-checked an extensive international array of previous far-right terrorists such as Anders Breivik, the Charleston church-shooter Dylan Roof, and the former Lega Nord electoral candidate Luca Traini who shot six people of African background in Italy last year. The Christchurch attacker’s rambling manifesto highlights the interconnectedness and shared discourse of much of the international far-right’s discourse, exposing the scale of the problem. What accounts for the growth of far-right violence? There are many possible explanations, primarily a broader political environment within which many traditional far-right arguments have been incorporated into mainstream politics, granting previously marginalised ideas a degree of popular legitimacy. These have been evident in the anti-Muslim and anti-immigrant policies to be found in the UK in relation to Brexit and the recent Windrush scandal, the rise of the AfD in Germany and its increasing drift even further to the far-right, the emergence of VOX in Spain, the growth of the Front National in France, and the damning presence of far-right parties in government in Italy and Austria. But the problem is not just limited to representative politics, it is increasingly clear that the authorities tasked with policing far-right violence have long been complacent to its risk or more controversially even complicit in it. This was made clear by the former head of the Metropolitan police anti-terror unit Mark Rowley acknowledged when he remarked that the UK had not “woken up” to the dangers of the far-right. It is also demonstrated in the multiple reports by the Southern Poverty Law Centre and the START centre focusing on similar tendencies in the USA. 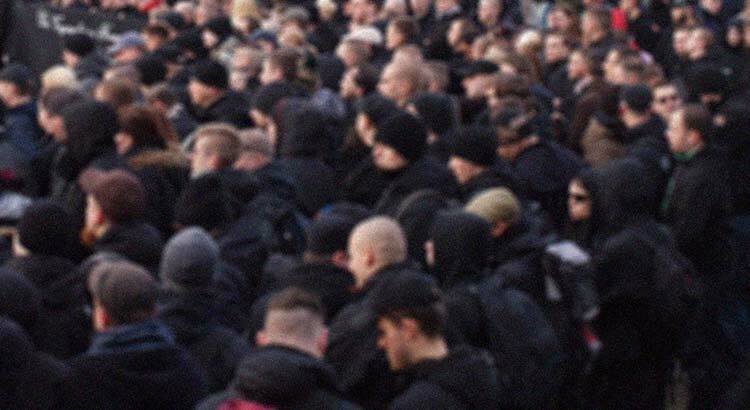 In Germany, there has been an explosion in a whole array of far-right violence, but as Daniel Koehler of GIRDS has worryingly highlighted, it has not resulted in a comparable increase in arrests and prosecutions. In fact, the official figures of German Federal Criminal Police since 1990 list 83 killings by far-right extremists while NGOs cite a figure of 169 deaths. The series of murders committed by the NSU were dismissed by police as somehow related to foreign criminality before it was revealed to be the systematic work of a far-right terrorist cell. More disturbingly, during the trial it became evident that German intelligence officer Andreas Temme was actually present at one of the killings and attempted to conceal the fact from the police investigation. Potential far-right sympathies are arguably present even in the higher echelons of the German police as witnessed in the scandal featuring Hans-Georg Maaßen, the former head of the domestic intelligence service. In recent months, numerous members of the German police and army have been uncovered as active sympathisers with far-right movements, some even offering paramilitary training at home and abroad. There has been a huge increase in research seeking to understand the dynamics driving violent radicalisation in recent years, benefitting from extensive public funding as governments are concerned with potential homegrown threats, for example the US Department of Defence’s Minerva research initiative. Yet, research by Bart Schuurman at the University of Leiden has revealed a concerning tendency. In a recent article, based on an original dataset containing 3.442 articles, he empirically demonstrated something that has long been suspected; that far-right radicalisation and violence is greatly understudied. 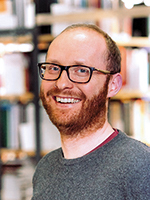 Schuurman reviewed the nine most important English-language academic journals in the field of terrorism research between 2007–2016. He discovered that while 74.5% of all articles were focused on jihadist groups, only 1.9% dealt with extreme right-wing movements, albeit with a slight uptick in the years between 2013 and 2015. Although the period analysed does correlate with the peak of ISIS’ terror campaign which unquestionably merited substantial analysis, the 1.9% dealing with far-right is also dwarfed in comparison to the share of articles on the far-left (7.6%) and national liberation movements (7.9%). This leads to the question as to why the academic community does not conduct a proportionate amount of research on the far-right? Schuurman argues that the field of radicalisation and political violence seems to be somewhat reactive and “event driven” in nature, addressing short-term developments and producing research oriented towards policy makers and more likely to have more a public impact. While naturally, such research is commendable and necessary, the fact that it so comprehensively dominates the discipline is deeply unsatisfactory. One possible explanation Schuurman provides is that research projects are guided by funding imperatives. It could be the case that precarious academics on short-term contracts, underfunded universities and research centres are under incessant pressure to obtain third-party funding, leading to a focus on ‘safer’ project proposals more likely to be successful. As can be seen with the boom in research on radicalisation in recent years, as Western governments and transnational institutions like EU have become more concerned about jihadism and home-grown radicalisation, more state and public funding became available to work on such issues. Thus, making project applications on jihadism likely more successful than focusing on the far-right milieu, which has until now engaged in frequent but fewer large-scale attacks. Importantly, these attacks mostly targeted marginalised members of society such as immigrants and religious minorities, with notable exceptions such as the Breivik attack and the killing of British MP Jo Cox. In 2010, in a withering critique of the radicalisation research ‘industry’, Jonathon Githens Mazer and Robert Lambert denounced a self-referential bubble wherein “politicians point to media and commentator support for their views, the media point to policy-makers and academics, and academics seek funding and ‘impact’ by toeing the line of conventional wisdom”. Although written almost ten years ago, it remains a pertinent observation regarding the weaknesses of the discipline resulting in the neglect of far-right mobilization as a research topic. To make matters worse, notwithstanding the massive decline in left-wing terrorism since the 1980s, there remains a tendency to make a false equivalence between contemporary far-left and far-right violence. While this is more pronounced in the United States, it is also prevalent in Europe. Arguably, a more apt comparative research agenda would compare practises and reciprocal learning by jihadist and far-right milieus. In recent years, jihadist groups have incorporated the practise of leaderless resistance which originated in the American far-right, and the far-right have in turn incorporated jihadist tactics such as the use of run-over attacks, as in the attack at the Finsbury park Islamic centre. While there is certainly violence on the far-left, it is largely centred on protest events as seen in the G20 protests in Hamburg, the opening of the new ECB building in Frankfurt, and comprised of property damage and vandalism. This is simply not comparable in scale or nature to far-right patterns of violence which deliberately seek to inflict casualties, as evidenced in Christchurch, the Pittsburgh Synagogue attack and the attack on the Montreal mosque in 2017. What explains the vastly greater focus on the far-left over the far-right in English-language academic research? One potential explanation is that some of the articles included in Schuurman’s dataset retrospectively analyse historical periods in which far-left terrorism did occur, but this alone seems an insufficient explanation. It is probable that the ground-breaking work of Donatella della Porta and others on the 1970s and 1980s have made such an impact on the field that the left–right paradigm remains a kind of default comparative template notwithstanding the changed empirical realities. It is also conceivable that including both left and right radicalisation is a kind of pre-emptive effort by academics to thwart accusations of left-wing bias and to reflect the (presumed) political preferences of state funding bodies. On a more optimistic note, there is a burgeoning focus on the far-right in research centres like the aforementioned GIRDS and in the C-Rex in Oslo whose researcher Jacob Ravndal has recently released a comprehensive database on far-right violence and terrorism in Western Europe. Finally, to echo Schuurmann, it is certainly not necessary to forego state funding. His stark findings should rather be taken as reminder of the obligation to engage in greater self-reflection on the subjects we choose to study and indeed, those that we do not study. As an academic community, we need to look beyond finding niche gaps in the existing literature and better consider the vast subjects that lay beyond the confines of dominant research agendas.